OHIM – Heineken, Punch and Lagunitas: maybe the ‘green monster’ isn’t so bad? Heineken now appears to be the majority shareholder of Lagunitas – more about that later. 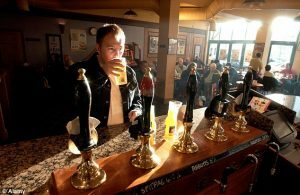 In England pubs continue to close their doors on a daily – because more and more beer is drunk at home several thousand classic public houses disappeared in recent years from the streets – but there are still more than enough, and unlike in the Netherlands ownership is mostly in the hands of a few players. 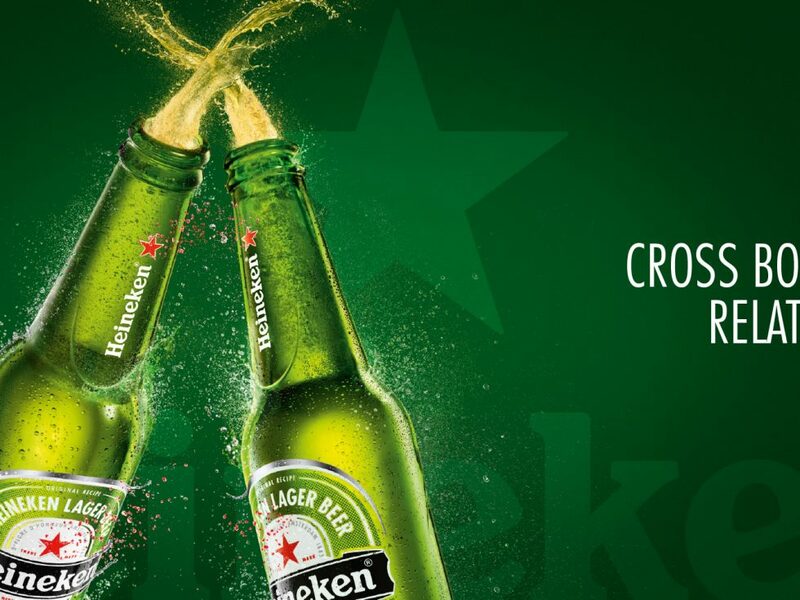 Heineken is still awaiting the green light from competition authorities: they are about to take over 1,900 pubs belonging to the Punch Group, and add them to its existing acreage of 1,100 pubs. English Consumers Union CAMRA (Campaign for Real Ale) is concerned about possible abuse of power: would there be any choice left for the pubs and their customers in terms of assortment after the acquisition? Or isn’t the ‘green monster’ so bad after all? In a beautiful letter written by the Chairman of CAMRA (the British version of Pint, if you like, though the association is, both as a percentage and in absolute numbers, slightly larger than ours) to the Chairman of Heineken’s English “Star Pubs and Bars,” under which the Punch pubs will fall if the takeover succeeds, he voiced his concerns. These concerns are mainly about the possible reduction of diversity in the supply of the connected pubs: wouldn’t Heineken, first and foremost, promote beer from its own breweries, or even make these mandatory? Wouldn’t this lead to the end of supply by other brewers who do not belong to Heineken’s portfolio, let alone smaller craft breweries? The letter appeared on the CAMRA website and in various media – and to everyone’s amazement Lawson Mountstevens, the boss of the Star Pubs & Bars, responded soon afterwards – with an open letter to President Colin Valentine of CAMRA. Both Antoine Bosteels and Carlos Brito can learn something from this: each await at least one open letter to reply to. If you wouldn’t know any better you could think that Heineken is not about the money, but this is a mixture of taking social responsibility and exercising a hobby. I probably do Heineken too short when saying that: of course, it is about the money, but at the same time they seem to want to earn it in ways unlike other major brewing groups. Reason to believe that is serious lies in a fact that has hardly, or not, been addressed on beer forums or on beer news sites: Heineken now has more than 50% of the shares of Lagunitas but is still leaving the original owners and managers all in control. In an article in the Chicago Tribune it was reported that a former top executive of Lagunitas gave up his job and sold his shares: Heineken bought them but did not want to change the situation whereby it had a 50-50 balance in voting. So, Heineken now owns the majority of Lagunitas shares, but the vote of the additional shares has been placed in a voting trust in founder Tony Magee’s name. And so it would appear that Heineken is playing a completely different game than AB InBev, the Brazilian Investment Brewer ran by bankers, accountants and other financial lifeforms with body and soul on Wall Street. Now I have not crawled out of an egg myself, and I too want to first see and then believe – but if the signs do not deceive Heineken seems to care for the beer more than solely for the coins. Do with this whatever you want. 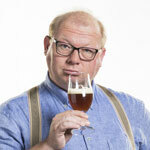 I consider to become, in addition to my membership of Pint, also a member of CAMRA. From which club we can still learn a lot when it comes to consumer interest, and also when it comes to being taken seriously by the industry, doing sensible things. That’s not a criticism of the current administration of Pint – but an inspiring indication at the very least. Thank you for your letter of 8th February. I would like to thank you for your constructive approach and for recognising HEINEKEN’s “positive track record of investment into improving the pubs it currently owns” and the “potential positive outcome” from our proposed purchase of 1900 pubs from Punch Taverns. You’ve raised a number of specific questions which I am pleased to address in turn.  Will you ensure you maintain a choice for drinkers – most obviously by allowing customers to be able to choose from a range of real ales, ciders and perries?  Can you give assurances that you are committed to allowing your licensees flexibility in offering guest real ales from local breweries, which cannot be considered a threat to a company of Heineken’s size? I am pleased to confirm that, in the event of our bid to purchase 1900 pubs from Punch Taverns being successful, we intend to work with SIBA (Society of Independent Brewers) to ensure that tenants continue to have access to a wide range of quality beers from small, independent breweries. Following completion of the deal we look forward to working with SIBA to ensure the continued success of the partnership. Alongside our strong portfolio of leading brands, we already offer a wide range of non-HEINEKEN brands to our existing Star Pubs & Bars licensees, and we think that is important. We already provide an important route to market for a significant number of independent and regional brewers to sell their beer in our existing pubs – where we sold more than 200 different brands of cask beer last year. We are aware that some Punch tenants are concerned that we will force them to purchase only HEINEKEN brands. We are pleased to confirm that is not the case. As we have consistently said, we will start with what is right for each of the pubs joining us and we will work together with licensees to ensure they have the right drinks on offer to suit the specific needs of each pub. We have a shared interest in working constructively with licensees to grow our businesses together, and we have no intention of imposing blanket conditions on them which are detrimental to that shared aim. 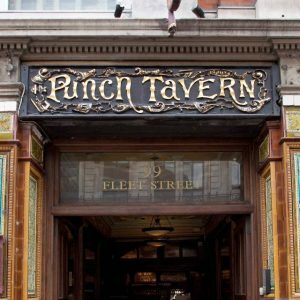 Punch’s publicans’ leases will continue as before, and they will benefit from the ability to stock drinks from a wide range of drinks suppliers, together with the rights afforded to them by the Pubs Code Regulations. We urge you to look at our track record. To give just one example, next week, after a £235,000 joint refurbishment by Star Pubs & Bars and Nottinghamshire micro-brewery, Lincoln Green Brewing Company, we will open the Station Hotel which is being transformed in to a friendly neighbourhood pub with a reputation for great cask ale. The pub will have 10 hand pulls on each bar displaying four Lincoln Green beers as well as six guest ales. The two bars will between them serve up to 20 different ales during peak periods. ● Can you assure us that you will abide by the letter and the spirit of the Pubs Code including giving tenants the right to opt for a market rent only option? Yes we intend to abide by both the letter and the spirit of the Pubs Code. Tenants will continue to have the same rights. We said back in 2015 when the SBEE Act was passed that it was a challenge to pub companies to demonstrate that we are acting fairly and supporting tenants. We gave a commitment to rise to that challenge and build even more sustainable and mutually profitable partnerships with our licensees. We stand by that. Our aim is to attract and retain the best licencees as we believe they are crucial to the success of pubs. That’s why we continue to offer leases which have Landlord and Tenant Act protection. Of course as with any new legislation there will be a bedding in period and despite our best efforts we will not get everything right. However my commitment to CAMRA and to tenants groups is that our door remains open to constructive discussions on where we can improve. ● Is your intention to continue operating the vast majority of the acquired pubs as going concerns and that you will consult communities before taking any decision to sell pubs for alternative uses? This deal is a major vote of confidence in the Great British Pub. Our intention is to improve the performance of the Punch A Group estate through refurbishing and rejuvenating the pubs, making them more relevant to their communities and capable of multiple income streams including food. We have a strong track record of investing in our pubs having invested over £20m per annum since 2014. Upon completion we will undertake a detailed review of the Punch A Group estate to identify those pubs in most need of investment and to plan carefully how best to integrate the Punch A Group estate with our Star Pubs & Bars business. There are times when we do sell pubs, however I can confirm that when we have sold pubs from our existing estate the majority of these remain as pubs and are not sold for alternative uses. We would be happy to engage with CAMRA on our plans for individual pub sales in the future. ● Will you agree to further consultation with CAMRA following the acquisition of the pubs, in order to give further assurances about your plans? Yes we would welcome discussions with CAMRA, and with other important stakeholders, following completion of the deal to discuss our plans in more detail. The transaction is subject, amongst other things, to Vine Acquisitions’ offer for Punch Taverns receiving approval from Punch shareholders and the acquisition of Punch A by HEINEKEN UK being approved by the relevant regulatory authorities. Assuming satisfactory approval, completion is expected by the end of the first half of 2017. Following completion, the pubs acquired by HEINEKEN UK will be operated for six months by Vine Acquisitions under a transitional services agreement, after which they will be fully integrated into the existing Star Pubs & Bars pub business. If Heineken follows through with its promises above, it’ll also be following much of the rest of the UK pub trade. Most of the vertically-integrated pub-owning brewers seem to have recognised the demand for variety – and locally-sourced variety at that – to the extent that even Greene King now has guest ales in its pubs. There are caveats of course. The landlord usually can only buy from a permitted list supplied (and priced) by the pub-owner, and in some cases many of the “guests” will actually be other brands produced within the owner’s empire. In the case of Heineken, that might mean a London pub with a Caledonian ale on, while Fuller’s broadens its seasonal range by producing ales under the Gales brand. Still, the extra variety is welcome.